Happy Birthday, John Luther Adams! 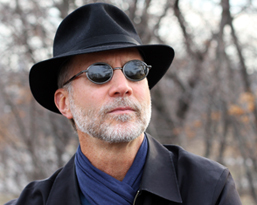 A birthday salute to the marvelous composer John Luther Adams, who was born on January 23, 1953 — and who was named Musical America’s Composer of the Year for 2015 — on the heels of winning last year’s Pulitzer Prize in Music for Become Ocean. He also recently garnered Columbia’s William Schuman Award for Lifetime Achievement, it was announced last month. My feature on JLA and the Seattle Symphony commission of Become Ocean appears in last fall’s issue of Listen magazine — but behind a paywall, so I can’t post the whole thing here. Reblogging this in honor of JLA’s Grammy win for “Become Ocean” — which also brings the Seattle Symphony Orchestra its first-ever Grammy. Congratulations!